When you become a member, you will receive our quarterly magazine, Bread Lines, full of the latest news about members, classes and events, as well as technical articles and formulas. 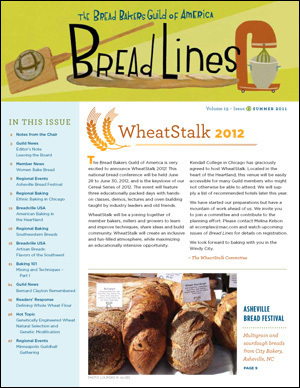 Click here to view an issue of Bread Lines. For information on the benefits of becoming a member of The Bread Bakers Guild of America, click here.